Dr. Sathyan Subbiah’s schooling was at Kendriya Vidyalaya-IIT in Madras (Chennai). During his last two years of his high school he prepared rigorously for the IIT-Joint Entrance Exams, which he successfully cleared and joined IIT-Madras in 1993. While studying here, he got interested in the field of manufacturing and also was initiated into research during his part-time work at the Aerospace Engineering department. He also participated actively in planning and conducting the institute’s annual cultural program Mardi Gras (now called Saarang). He obtained his B.Tech. in Mechanical Engineering in 1997 and had the third highest GPA in a class of 83. He then joined University of Illinois Urbana-Champaign, USA to pursue his M.S. degree, which he completed in 1999. While at UIUC he was also exposed to volunteering with the organization Asha for Education. He then joined Hayes-Lemmerz International, an automotive company in Michigan, as a manufacturing engineer. He saw the company go through bankruptcy, and survived a 11% lay-off in the company. He quit his job in August 2002 despite an offer of increase in salary and promotion. After declining two graduate study offers from UC-Berkeley and MIT, he joined Georgia Institute of Technology, USA for pursuing his Ph.D. While at Georgia Tech he tutored undergrads, topped the Ph.D. qualifying exam, actively conducted several panel discussions, was the recipient of two fellowships, tutored mathematics at local schools, and continued volunteering for Asha for Education. He is married and lives with his wife and two daughters in Chennai. 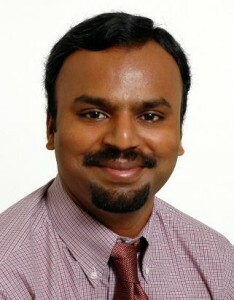 Sathyan moved to Singapore end of 2006. He worked with Singapore Insitute of Manufacturing Technology, SIMTech (an A*Star Research Institute) for about 6 months before moving to NTU in 2007. He was with NTU until May 2014 after which he joined IIT Madras as associate professor. He has since been at IITM. Outstand Young Manufacturing Engineer, Society of Manufacturing Engineers (SME), 2012. Outstanding mentor award, Science Mentorship Programme, Singapore, 2008. A. S. Adnan, V. Ramalingam, J. H. Ko and S. Subbiah, 2014, Nano texture generation in single point diamond turning using backside patterned workpiece, Manufacturing Letters (SME) , 2(2), pp. 44-48. B. Jayasena, S. Subbiah and C. D. Reddy, 2014, Formation of Carbon Nanoscrolls During Wedge-Based Mechanical Exfoliation of HOPG, Journal of Micro and Nano-Manufacturing 2(1), 011003. B. Jayasena, S. Subbiah and C. D. Reddy, 2013, Separation, folding and shearing of graphener layers during wedge-based mechanical exfoliation, Nanotechnology, 24 (20), 205301. K. Saptaji and S. Subbiah, 2013, Orthogonal micro-cutting of thin substrates, ASME Journal of Manufacturing Science and Engineering, Vol. 135, No. 3, 031004. K. Saptaji, S. Subbiah and J. Dhupia, 2012, Effect of side edge angle and effective rake angle on top burrs in micro-milling Precision Engineering, 36: 444-450.